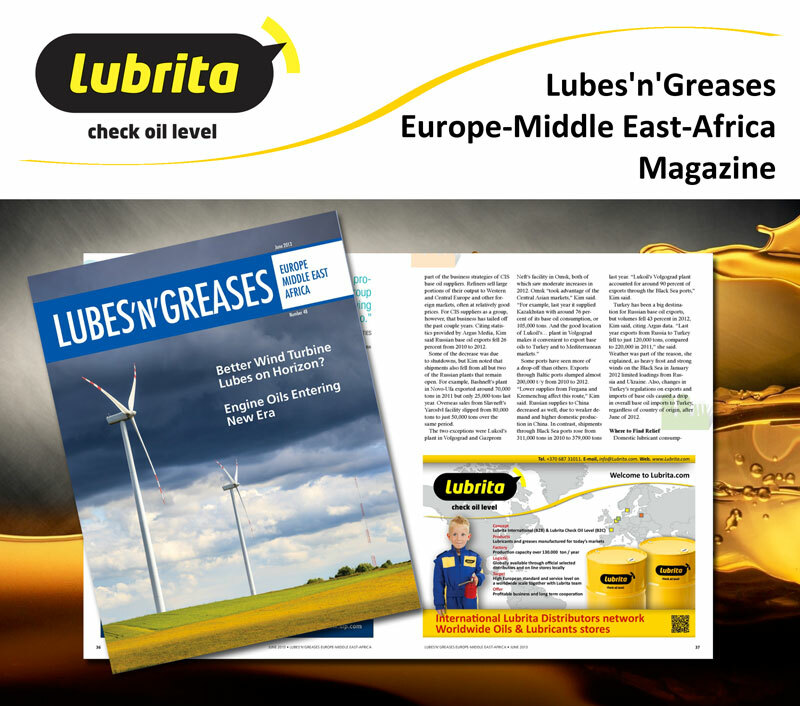 Lubrita advertisement published in June 2013 issue the Lubes'n'Greases EMEA magazine. LNG's flagship independent monthly magazine for and about the global lubricants industry. Covering automotive and industrial lubricants, metalworking fluids, greases, base stocks, additives, packaging, biodegradable and synthetic products, companies, people, issues and trends affecting the industry. The print edition is free to qualified subscribers in the United States and Canada and available on a paid-subscription basis elsewhere. The digital edition, an exact replica of the print magazine, is free to qualified subscribers worldwide. Lubrita Hot News - Lubrita improved Lubricants product line and categories! Please contact us by email: info@Lubrita.com ) or telephone +370 687 31011 request for more details.